Welcome back to the Be in the Picture weekly roundup. Once again there were lots of wonderful pictures shared on instagram and I struggled to pick just a few favourites. I could have featured so many. If you missed the last roundup you can catch up with it here, Be in the Picture 5. For those of you that haven't heard of #beinthepicture, it is an instagram hashtag that myself and Alana from Baby Holiday created. It is designed to encourage you to get in-front of the camera as opposed to behind it. I used to always be the one taking the pictures and I was never in them myself. You can use the hashtag on any pictures that feature you whether that be fashion, parenting, travel, with your partner etc. You name it, we want to see it. 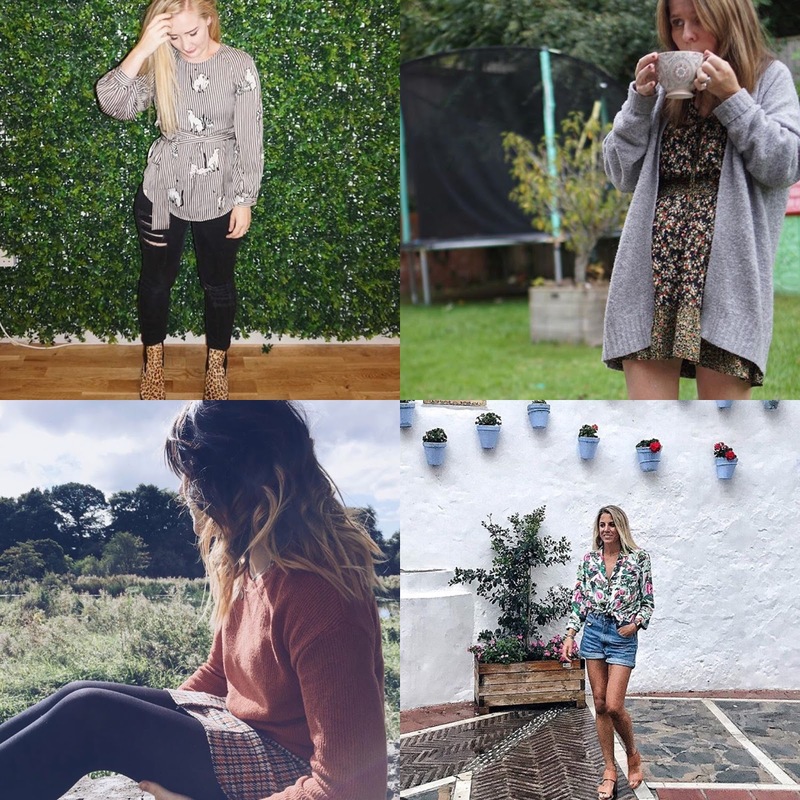 I've loved seeing lots of fashion style picture's recently and I'm especially loving all the autumn/winter trends all over the gram so for this roundup I've included some outfit pics. My favourite outfit has come from Lamb and Bear because I'm insanely jealous of her Leopard print boots. Next to feature is memeandharri. This outfit has autumn written all over it. It's making me cosy just looking at the picture. You can't beat a dress with an oversized knit. Favourite dress, favourite cardi, favourite day. I love Saturdays. There’s nothing better than waking up and remembering it’s the weekend. It’s been a lazy day of hot tea and playing in the garden. It’s been lovely, I’ve even managed a child free catch up with my bestie Sarah, that girl makes me smile 💕How has your Saturday been? This outfit by lifeafterblue is just gaols. The colours are lovely and I'm rather envious of her hair. She's been through lots of life changes lately and she still remains positive. Go and give her a follow. Last up from my favourite picks is leanmeanmomma. Cliona always looks great. Her holiday snaps have been making me wish I was away. My own personal favourite outfit pic that I have shared over on my instagram is one from my holiday to Turkey. I wore a Next dress which isn't something I'd normally wear but I loved it nonetheless. Make sure you join in with #beinthepicture over on instagram and also follow it to see everyone's pictures.